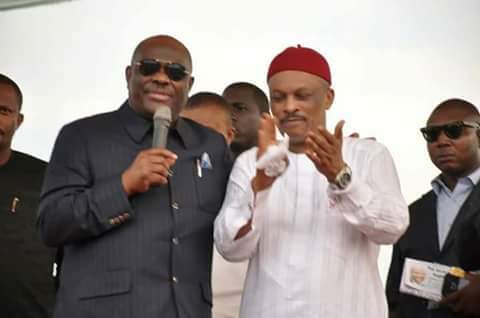 Rivers State Governor, Nyesom Ezenwo Wike has declared that the emerging strength of the Peoples Democratic Party (PDP) is built on the people who are enjoying the benefits of good governance from PDP governors and lawmakers despite the economic downturn. Speaking during a Thanksgiving Service/Grand Civic Reception in honour of Senator Sam Anyanwu on Saturday at the Saint Mary’s Catholic Church, Iho Ikeduru in Imo State, Governor Wike said that Nigerians now know the truth about the delivery of developmental projects by leaders of different political parties. 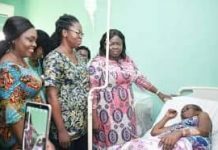 He noted that the transformation going on in Rivers State has been so profound that it was recognised by Vice President Yemi Osinbajo, even though he is a leader of another political party. The governor noted that having failed to deliver on her campaign promises, the APC will resort to nationwide intimidation and blackmail. 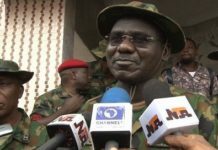 He advised Nigerians not to be intimidated by the antics of the party. He said: “Nigerians should know that the only hope for the country is the PDP. Nobody should deceive you. I want to tell you that you should not be intimidated. “The time for intimidation is over. They have done everything in my state to intimidate us, but we told them, no way. We will continue to tell them, no way”. He added: “I have always told them that our own soldiers are the people. It is your work that will speak for you. 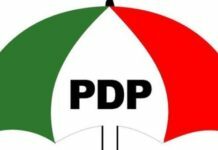 I am proud that I was elected on the platform of the PDP”. Governor Wike said that it is now obvious to Nigerians that there is no alternative to the PDP. Commenting on Senator Sam Anyanwu , Governor Wike described him as a worthy and dependable PDP lawmaker who is diligently serving Nigeria. In his remarks, Former National Chairman of the Labour Party, Chief Dan Nwanyanwu said Nigerians and the people of Rivers State are satisfied with the exploits of Governor Wike in terms of developmental projects. 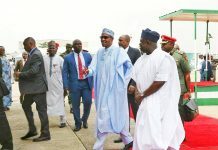 He urged the Rivers State Governor to sustain his projects delivery, noting that his re-election is assured. “Governor Wike, the people are satisfied with what you are doing and you are their son in whom they are well pleased. You have transformed the environment and you have made the people happy “, he said. The governor was accompanied by Senator Lee Maeba, Hon Victor Ihunwo , Hon Major Jack and Hon. Ehie Edison of the Rivers State House of Assembly.